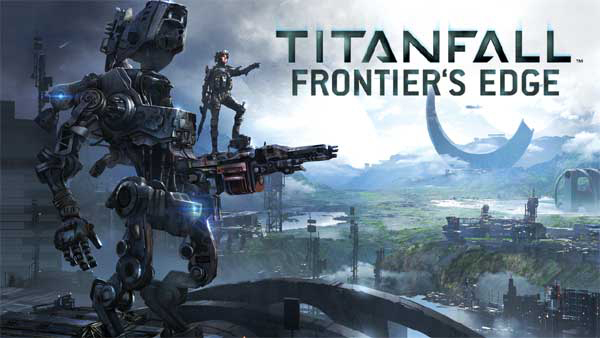 Following up my recent Titanfall Beginners Review post over at She Rides Dragons, comes the news that Titanfall’s newest DLC pack is to be called Frontier’s Edge and includes three new maps taking us to new areas and landscape environments. The first of three planned DLC packs was released back in May and was called Titanfall Expedition. I haven’t played enough to get bored with the main game so I haven’t splashed out on it yet but as there are three packs planned and there is a Titanfall Season Pass which includes all three, I may well wait until the third is launched to buy the pass! Respawn Entertainment also promised more new Titanfall experiences when they released their sales figures back in May. With hard copy, US only sales reaching to almost 1 million up to the end of March and the XBox 360 version being released in early April, I’d say Titanfall got off to a good start! We’ll probably have to wait until mid August for the next earnings report but with all the other sales figures yet to be included, it will be interesting to see just how successful this game has been so far. I’m brand new to First Person Shooters but even I have heard of the Call of Duty & Halo games – I’m sure Titanfall has a long way to go to catch them up in sales but as this is the one I am playing now, I’ll stick with Titanfall for the foreseeable future! Build your own Titan with these K’nex sets!